In my ongoing product testing efforts to help everyone evaluate Burgman accessories and aftermarket products. 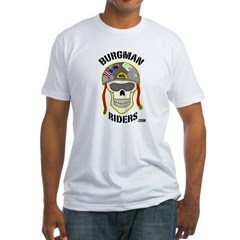 I recently purchased a cover for my Suzuki Burgman 650 from the accessory page on the BurgmanRides.com site. I’ve been looking around for a cruise control solution for my Burgman. On those long highway trips it sure is nice to give your right hand a break once in a while. Here is a review of the Suzuki Burgman 400 that appeared in the Los Angeles Times.